HMH Books for Young Readers, 9780544915039, 18pp. Night is falling on Old Farm and Gossie, Gertie, Peedie, and BooBoo are getting ready for bed. Everyone is sleepy—except Ollie, of course! 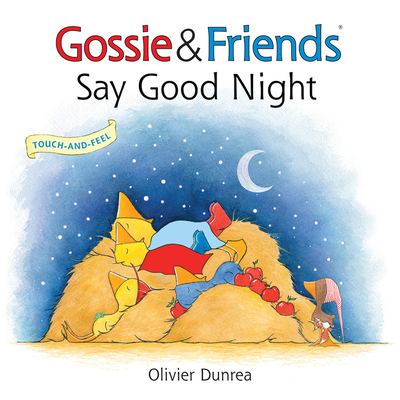 Follow this spirited gosling as he says goodnight to all his dozing friends in this bedtime story from the world of Gossie & Friends. Even the littlest sleepyheads will love to touch the textures in the sturdy touch-and-feel board book with soft blankets and shimmery stars on the cover.